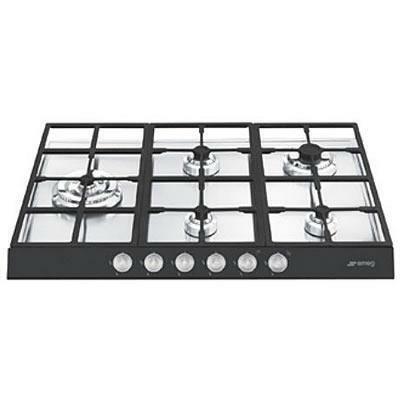 Smeg Linear Design 28" gas cooktop features, 5 gas burners, ergonomic transparent control knobs, heavy duty cast iron grates, full width suspended grates and high efficient directional flame burners. Power Output -Left: 17,000 BTU double inset super burner. -Front center: 3,600 BTU burner. -Back center: 5,800 BTU rapid burner. -Front right: 3,600 BTU burner. -Back right: 10,600 BTU rapid burner. 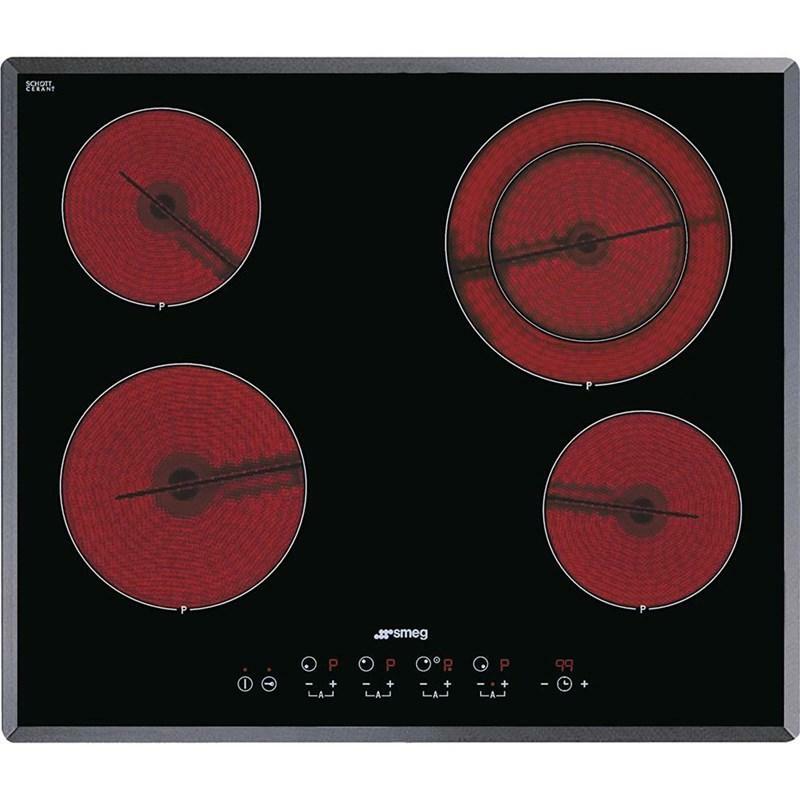 Additional Information -AISI 304 Stainless Steel cooktop. -Ergonomic transparent control knobs. -Black front control panel. 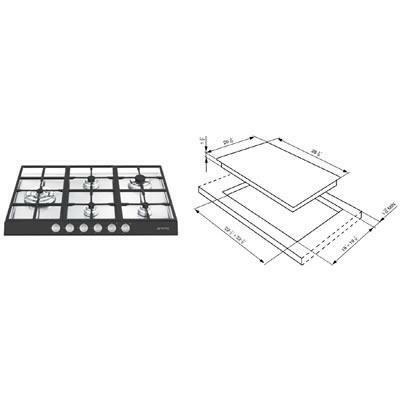 -Heavy duty cast iron grates. -Full width suspended grates. -High efficient directional flame burners. -Automatic electronic ignition. -Safety valves. -LP Gas conversion kit included. 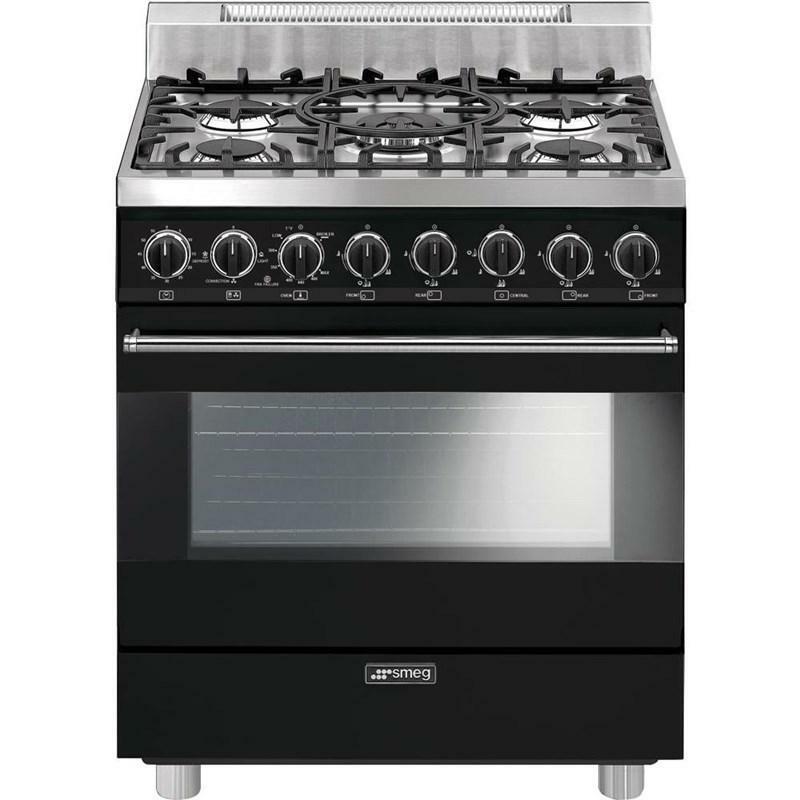 Smeg 30" freestanding gas range features 3 cooking modes, timer with alarm, 4 shelf positions and 5 sealed burners. 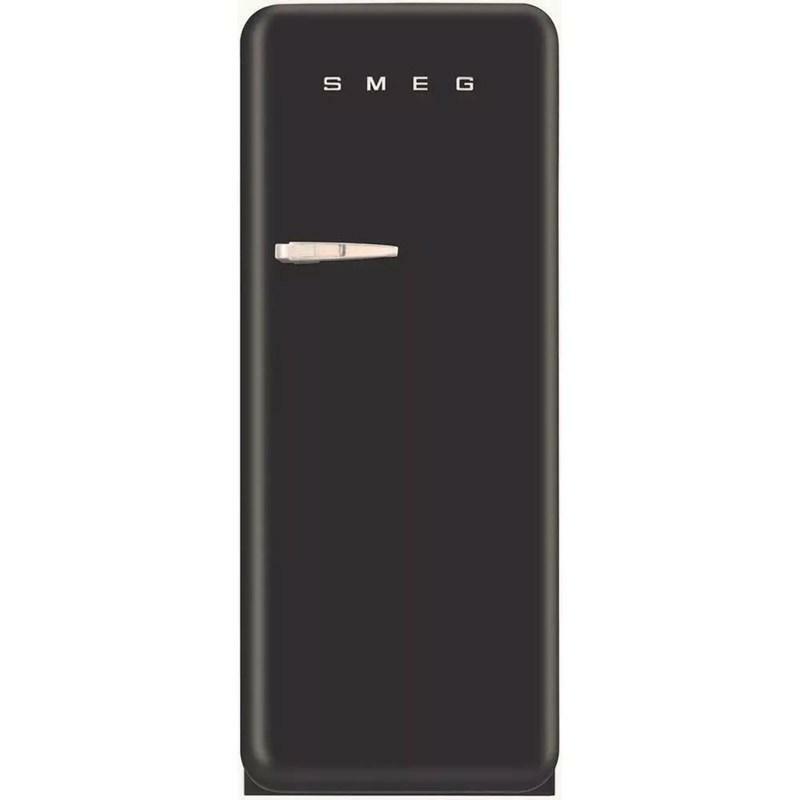 Smeg 50's Retro Style Aesthetic refrigerator features 4 adjustable balconies, 3 adjustable glass shelves and 1 fruit and vegetables drawer. Total: 9.22 cu. ft. / 0.26 cu. 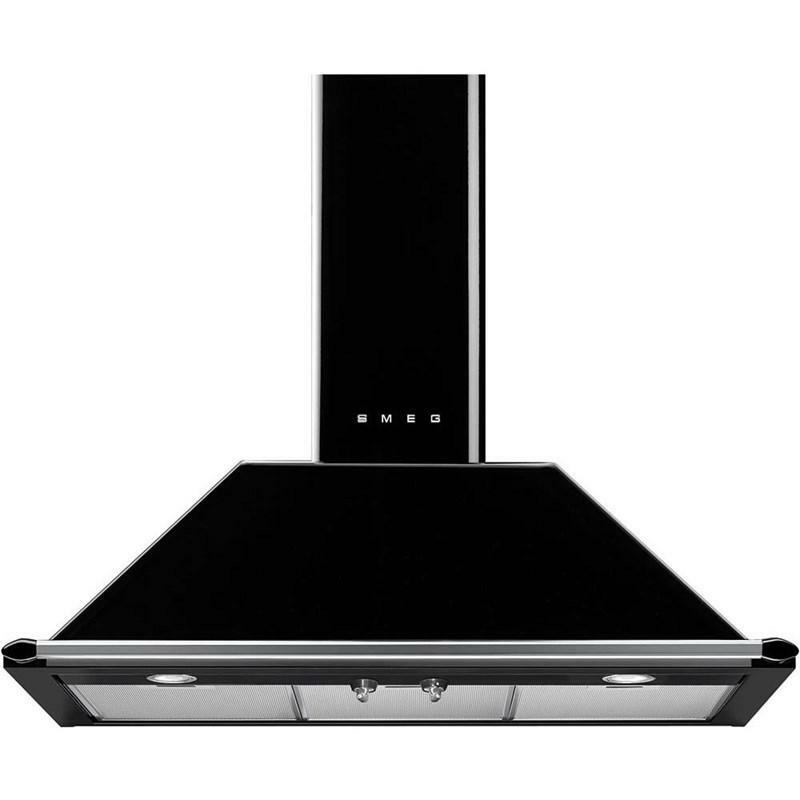 m.
Smeg Victoria Aesthetic 36" wall decorative hood features 3 aluminum grease filters, 4 speed and 2 halogen lights. 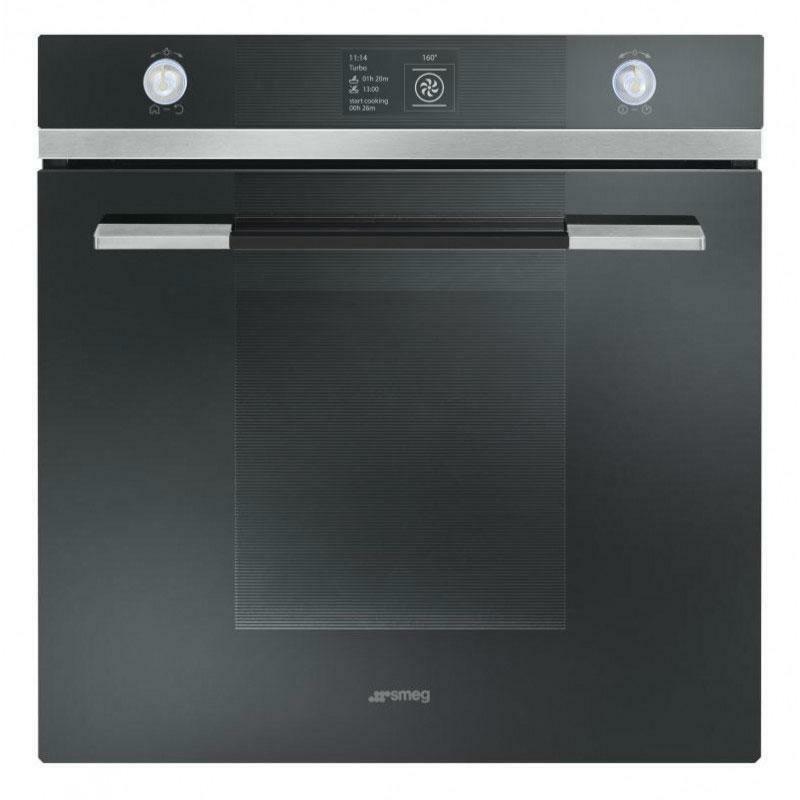 Smeg 24" ceramic cooktop features 4 high-light radiant elements, 9 power levels for each zone and “Suprema” black ecological glass.